To anyone who thinks American politics will rise to meet the threat of debt default with any sort of genuine compromise serving the best interest of normal folk, think again. Washington politicians are not particularly loyal to the U.S. or to us (unless “us” is a major campaign donor and corporate player). They are loyal to political parties. 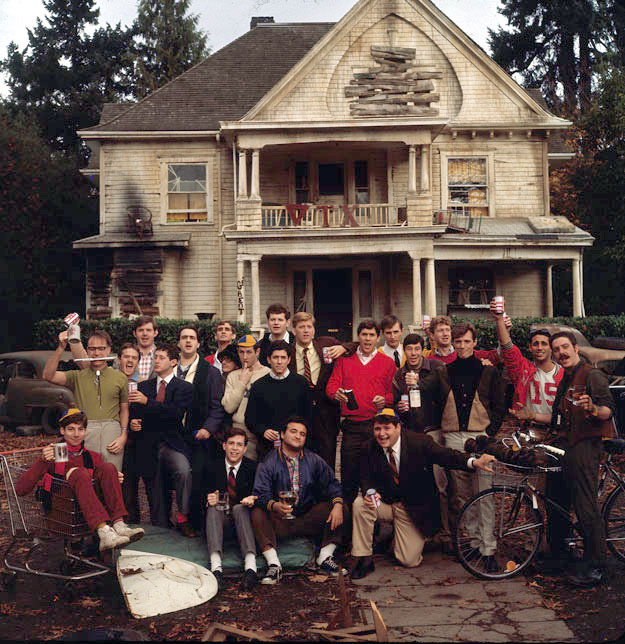 Washington is Republican versus Democrat, Red versus Blue, Delta Tau Chi versus Omega Theta Pi. In the Belly of the Beast it’s about teams and games and political hazing. In effect, the once-gilded streets of American democracy are run amok by the pledges of, say, Delta Tau Chi Capitol Hill. True story: In May 2008 my wife and I were invited to a dinner hosted by some visiting Republican friends. We met at a fancy D.C. restaurant where we were seated with well-heeled donors from both sides of the political aisle. Two months earlier Sen. John McCain had defeated former Gov. Mitt Romney for the Republican presidential nomination. Democrats were still deciding between Sens. Barack Obama and Hillary Clinton. The election was six months away. Arriving late to the table was an affable, well-dressed guy introduced to everyone as “Romney’s right-hand man.” He’d come to the dinner straight from Republican headquarters where he was campaigning for the party’s nominee. Conversation turned inevitably to the upcoming 2008 election when Romney’s guy shared a GOP confession: McCain scared the daylights out of him. The senator’s infamous quick temper was real, he assured us. Republicans, such as himself, were concerned about what McCain might do if elected to the White House. Hotheads and nuclear codes make for a dangerous mix. But as a Republican loyalist he was now charged with helping elect McCain. “If McCain is so frightening, what will you do on November 4?” I asked. He didn’t immediately understand the absurdity of my question. He looked at me as if I’d thrown back far too many beers.